OK it was suggested we create a thread specifically for Amethyst Sage. So here you go. Stickied too because everyone loves some good Amethyst sage! Post your amethyst sage pictures here and use this thread for discussing shaping, polishing, slabbing, cabbing, rough etc. Thanks for the photos to you both. Isotelus commented on wanting a thread for Amethyst Sage. I indulged him. 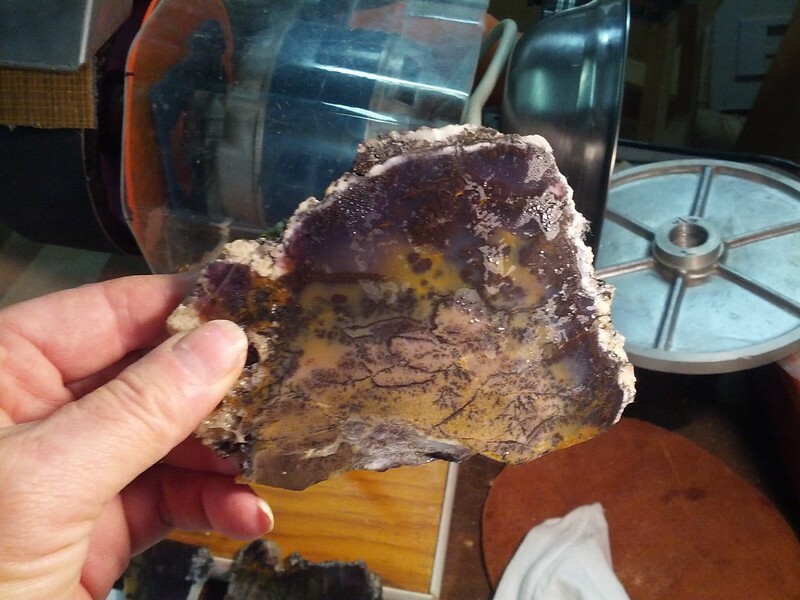 Here is a large cab preform of Amethyst Sage. It has a very different pattern than the usual. GORGEOUS Bob, Erick and Donnie!!! And this is the next one in line for cutting. That MONDO golden dendritic is absolutely AMAZING!!!!!! Holy crap Girlfriend those are gorgeous! I'm ahollerin' with you Amanda............Krysteeeeeeeeeee those are GORGEOUS!!!!!!!!!!! Thanks for all the pictures folks ... a pretty amazing rock type! Krystee.....What can I say. AMAZING. What does it say for me that of the photos posted here I own two of the cabs? 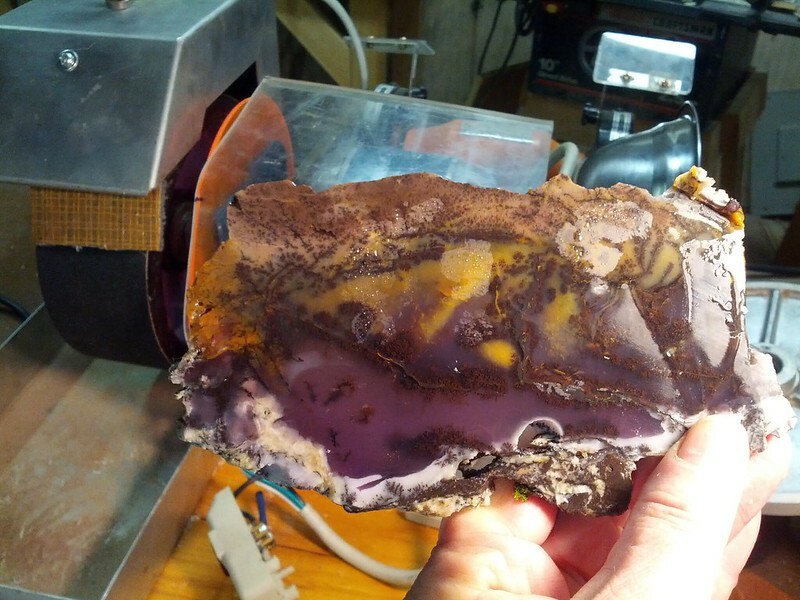 I was mislead to believe I had some other type of agate for years. After doing some checking around I found out it was all Amy sage I had bought, and only cut this one cab from it. I hope to have a few cabs cut from the rough in the near future after seeing these hot cabs posted. This is my absolute favorite of the ones you've posted. It's outstanding!